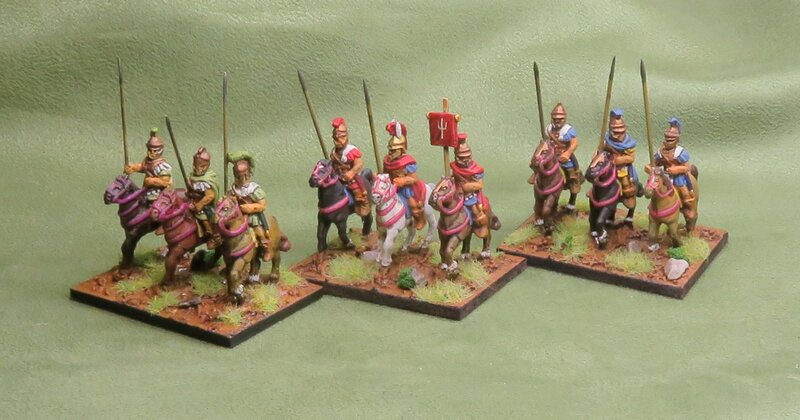 In order to get my Successor and Hellenistic figures able to be fielded as a BBDBA Pyrrhic army I needed to get the Campanians painted, which I did. I also needed two other elements, one of Xystophoroi (3Kn) and one of Tarantine light horse. Fortunately I had these in my lead pile. 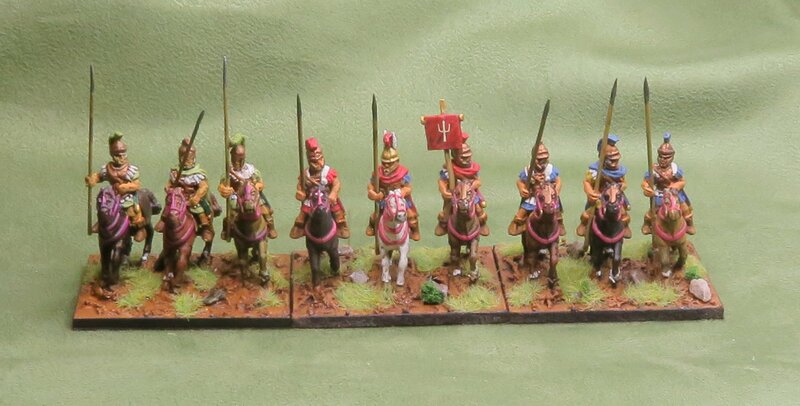 The extra element of xystophoroi were originally Hellenistic heavy cavalry, but I can’t really see how they differ from the Freikorp xystophoroi. They’re nice figures. 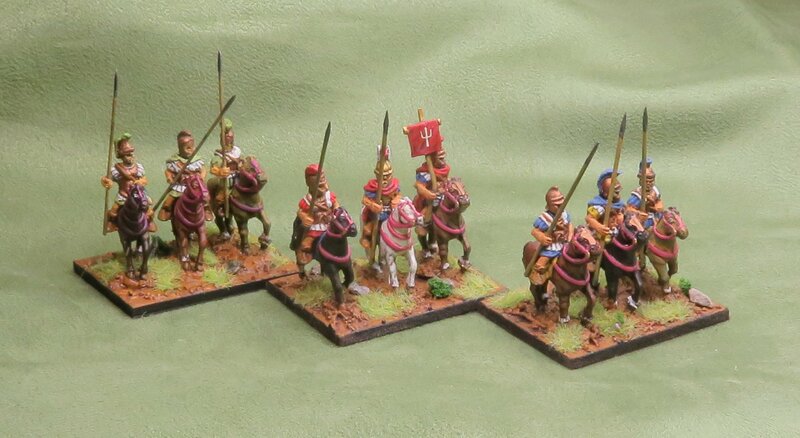 The extra element of Tarantine light horse are Essex, but they match the Freikorp ones well enough. Strictly I need to get a couple more elephants with turrets instead of using early successor ones, and paint a few more elements of pike, as two that I use for this army are actually Asiatic levy ones with trousers. However, as they fought bravely down at Conquest, I’m not in any hurry to do this. It worked out well into three commands, and the low-PiP one worked very well.